Y’all, May is over and I for one am a happy little camper about that. What can I say? May was an odd month for me in terms of reading. Things moved very slooooowly, and then they sped up toward the end of the month as I busted out of my late Spring slump like a crazy woman! Indeed, by mid-May I had read a mere five books. Five. So, so sad, don’t you think? For me, anyway. Then I rejoiced as I joined the Bout of Books 22 Readathon – surely I would redeem myself by reading all kinds of books during that week-long period, right? Wrong. I managed only one and a half. NOT EVEN TWO FULL BOOKS, y’all. Granted, all kinds of emergency dental and medical appointments kept creeping out of the woodwork during that time, but still – I was so disappointed in myself. I was so excited that FOUR books I’d been anxiously awaiting were released in May. I was thrilled with two of them and happy with the other two, so it was win-win for me. A fun read in particular was Puddin’ by Julie Murphy, as I read it along with three of my book club buddies which made it not only a blast, but much more thought-provoking and meaningful. I even managed to sneak in my non-fiction read for the month by reading 10% Happier by Dan Harris right before the end of May! Not a bad read, but I’m much more looking forward to its sequel, Meditation for Fidgety Skeptics. I have high hopes for my reading goals in June; at the very least I would like to read more than FIVE books by the middle of the month. Do you think I can do it? I sincerely hope so. 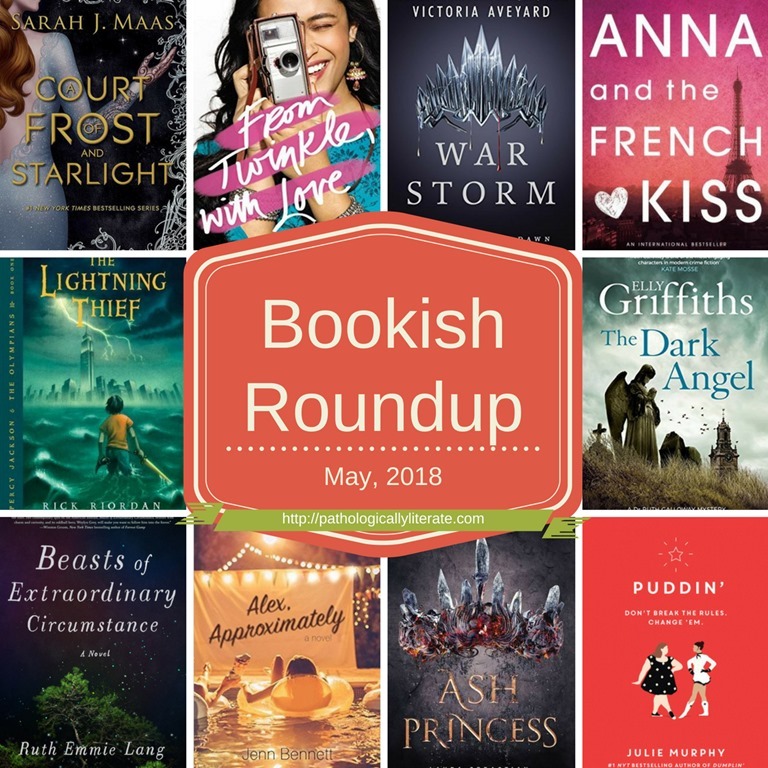 I guess we will find out with June’s Bookish Roundup, y’all. Until then, Happy Reading!! what did you read in may, friends? Bout of Books 22 Is Here!! What a great reading month! What did you think of Beasts of Extraordinary Circumstances? I adored it! If you haven’t read it yet, you definitely need to.